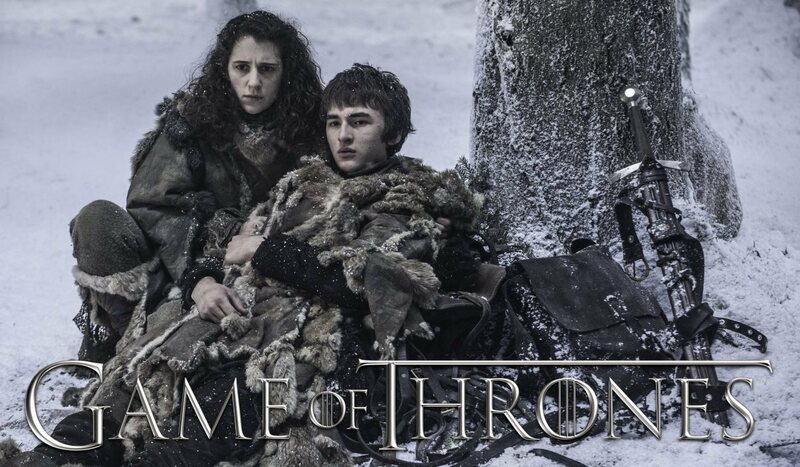 Bran and Meera Reed are fleeing the wights, who continue to follow them from the cave. Bran, still in his visions, witnesses several events: Jaime Lannister killing King Aerys Targaryen, a dragon flying over the Red Keep, his fall from Winterfell which left him paralyzed, the Night King transforming Craster’s last son into a White Walker, Ned Stark’s beheading, the murder of his mother Catelyn and brother Robb in the Red Wedding, and wildfire exploding beneath King’s Landing. As the wights close in, a black-clad rider appears and destroys some of the wights while pulling Meera and Bran onto his horse allowing them to escape. BRAN: Meera. They found us.